Thanksgiving is one day a year that calories don’t seem to count, but it’s important to remember that our pets can’t eat the same types of food that humans do. 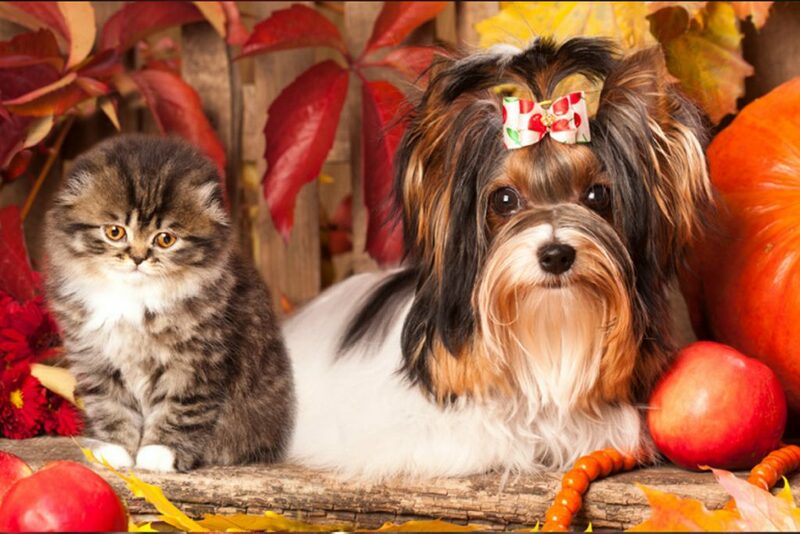 Large gatherings that are typical to Thanksgiving can put stress on animals if pet owners don’t plan ahead. 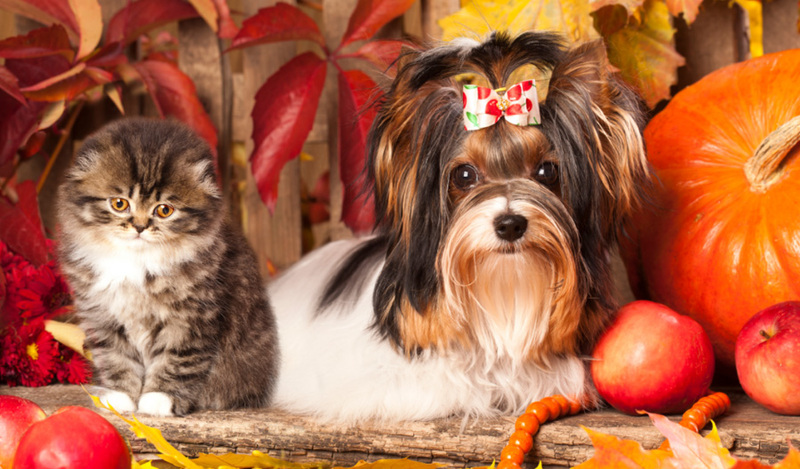 Veterinarian and Pets In Need volunteer board member, Dr. Jack Walkenhorst discusses the best ways to keep pets healthy and happy during annual Thanksgiving activities. Any food that is high in grease or fat is dangerous for a pet to consume. A few food items that are especially hazardous are turkey skin, gravy, poultry bones, and corn on the cob. Stuffing can also be unsafe, containing ingredients like onions, garlic, and raisins. Additionally, stay away from heavily spiced foods, as they can cause a pet to have gastric issues. Desserts can also be dangerous to pets. One commonly known unsafe food for both dogs and cats is chocolate, but one that is less widely known is an artificial sweetener called Xylitol. This sweetener is increasingly being used in cake and cookie mixes, and other similar desserts. While Xylitol is harmless to humans, it is very toxic for pets, so make sure to check the ingredients on any packaged dessert mixes being used. While it’s best not to give pets any food off the table, if you are set on including them in the holiday feast, there are a few foods that you can give them a taste of in moderation. Safe foods include small pieces of boneless and skinless turkey and vegetables such as carrots, peas, sweet potatoes and mashed potatoes with no butter or gravy. According to the Association for Pet Obesity Prevention, 59% of cats and 54% of dogs are considered clinically obese or overweight. When deciding what to feed your pets, it’s important to remember how these decisions can affect the overall health and longevity of your animals. When planning for guests, remember to provide your pets with secluded areas in your home where they will be comfortable. Cats especially, are not social animals so find a quiet, isolated room for them to call home during the gathering. Dogs are typically more social, but if you know your dog may get anxious with many unfamiliar people around, act in a similar way and find a calm, withdrawn area for them to relax during the gathering. It’s also important to consider how an outside door may be opening and closing often with guests coming and going. Make sure that someone is watching your pets or put them in a secure area where they’ll be unable to exit. While it may be uncomfortable, make sure to let your guests know that they cannot feed your pets. Especially if there are children present, kindly let them know that it is unsafe to feed your animals food off the table. It may be a good idea to have pet treats nearby to offer as a substitute. If you’re concerned that your animal has eaten something unsafe, watch them closely. If they do begin vomiting, it is important to take them in for veterinary care. If the animal has eaten too much food high in grease or fat, there could be a chance they have a serious condition called Pancreatitis which is inflammation of the pancreas. If one of your guests brings their pet unannounced, make sure to separate their animal from your pets because you won’t be able to keep an eye on them during the entirety of the event, and don’t know how the animals will react to one another. Remember to secure your trash area. It is common for pets to get into trash areas and eat foods that are bad for them without their owner knowing until it’s too late and the pet is sick. With the potential of a hectic meal with guests, make sure that your trash area is secure prior to guests arriving.